Mayor Rahm Emanuel announced on Tuesday a plan to improve the service of two of the city's busiest bus routes. The three-part plan calls for improved speed and overall performance of Chicago Transit Authority buses along Western Avenue (No. 49) and Ashland Avenue (No. 9). Details of the plan include offering rush-hour express service along both routes during morning and evening commutes, optimizing the spacing of bus stops, and installing more transit signals that will help buses proceed through major intersections. Transit-signal priority (TSP) allows buses to communicate with signal controllers and hold green lights longer, for example, or make red lights shorter. The work is being done by the Chicago Department of Transportation (CDOT) in partnership with the Regional Transportation Authority (RTA). "These improvements will help to modernize bus service along Ashland and Western, making commutes shorter and connecting more residents to jobs and economic opportunities. By modernizing bus service along Ashland and Western Avenues we will put another building block in place to create stronger neighborhoods and keep these two critical transportation corridors moving in a way that is faster, smarter, and safer." CTA President Dorval Carter Jr. said that express service with limited stops – set roughly every half-mile – will save riders as much as 22 minutes along each route. Removing some of the least-used stops along each route should also improve bus speed and overall traffic flow. The Metropolitan Planning Council (MPC) has also been advocating for a comprehensive Chicago BRT, saying it’s needed as much for economic development as well as social equity. “We are falling behind in terms of transportation investments in the region in large part due to inaction at the federal and state levels,” says MPC Executive Vice President Peter Skosey. “Congress hasn’t passed a transportation bill in years,” Skosey adds. But he says he remains optimistic about the city’s commitment to BRT saying after the so-called Loop Link BRT line that zigzags throughout downtown opens next year he believes the city will reconsider the Ashland and Western corridors. “If anything, putting in the [prioritization traffic] signals is a down payment on a future BRT line,” adds Skosey. "The Regional Transportation Authority (RTA) is funding technology to speed up buses and create efficiencies to benefit riders across the region.” RTA Executive Director Leanne Redden stated in the release. “We are proud to partner with the CTA, CDOT and other transportation stakeholders to secure this funding and facilitate this important project." 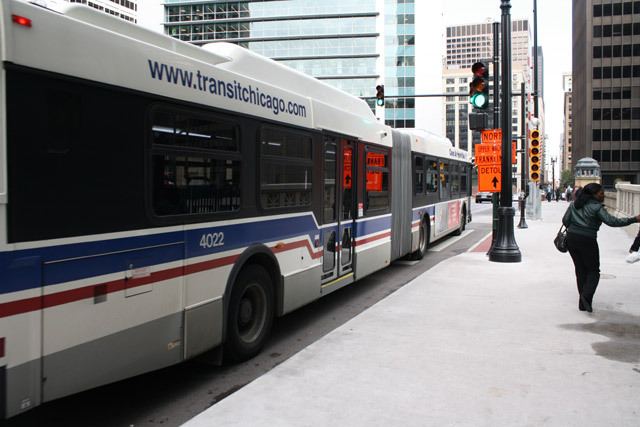 Changes will begin later this year; CTA plans to solicit community feedback on the proposal.